One of the most exciting aspects about finding out that you’re expecting a baby is telling the people closest to you and seeing their reactions. For the expectant mother, the first step is to tell your partner, then usually both sets of parents and close family members find out the news, followed by close friends, and then the world at large. 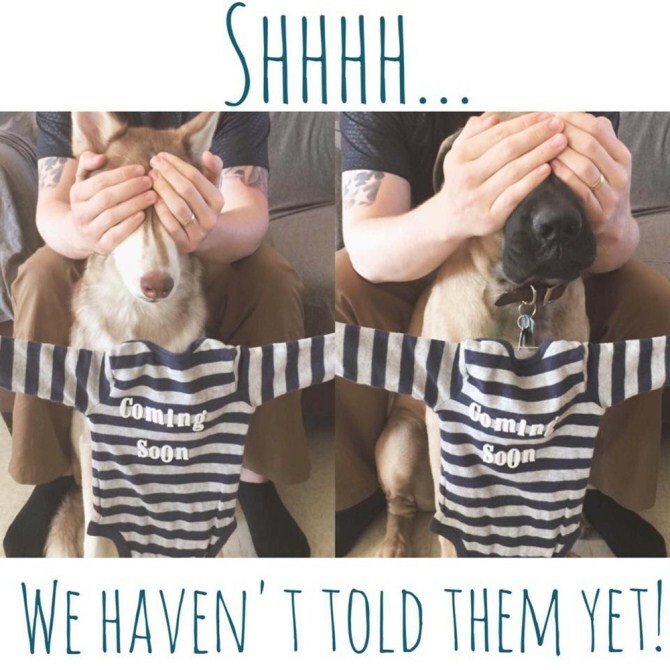 It’s such an exciting time and often one that has been anticipated for a while, so expectant parents are often looking for creative ways to announce pregnancy that will elicit the very best responses. 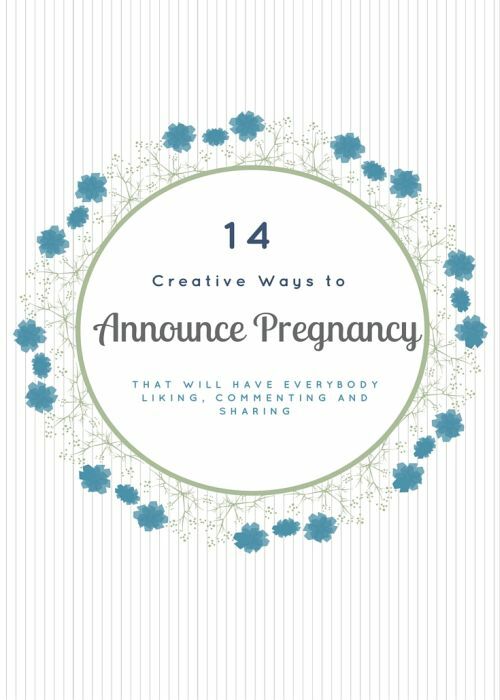 These creative pregnancy announcements work beautifully on social media, but can also be adapted “real world” announcements too, especially those that take the form of a greeting card. 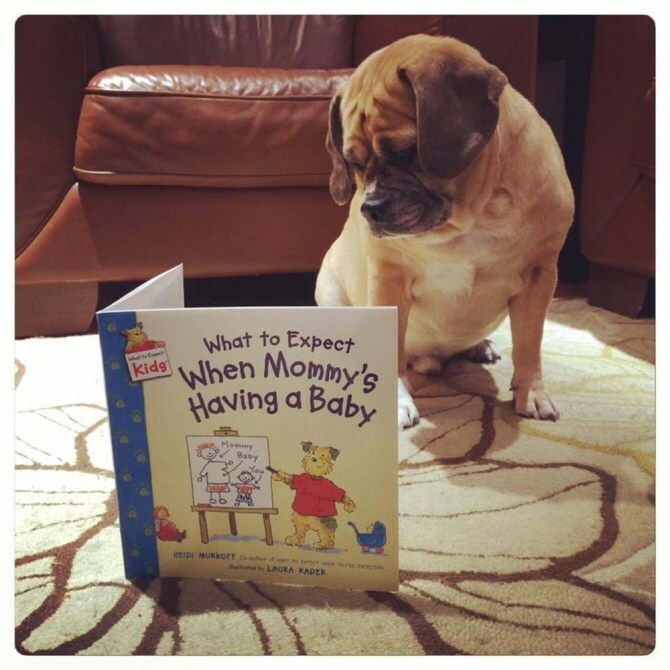 Read on for our favourite creative ways to announce pregnancy, from humorous to serious announcements, as well as announcements that involve other children or even the family pet. Everyone knows that women’s bodies change dramatically during their pregnancy, and here’s a sneak look at how those same changes might look on a man. We think the pregnant look quite suits him! 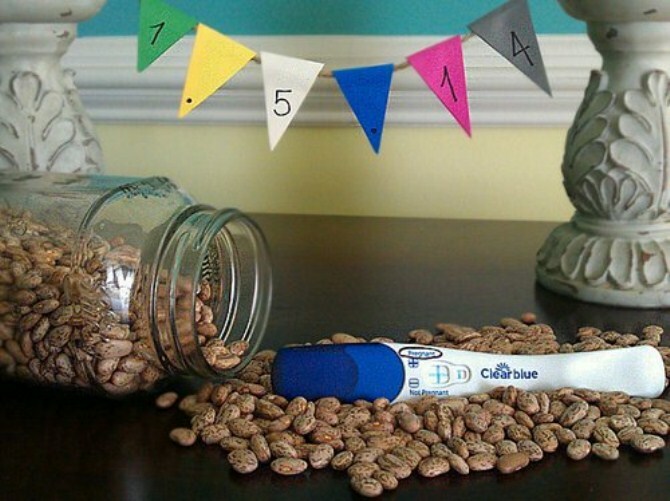 This is a great pregnancy announcement idea for social media, as it will take people at least a few seconds to realise that you are “spilling the beans” about your pregnancy. Some people might not ever realise that your due date in the background of the photo. This is a great idea to spark some intrigue and questions in the comments! For the couple that would much prefer to spend a lazy Sunday afternoon challenging each other on the Xbox or PlayStation, this is a fantastically unique pregnancy announcement photo that stays true to your real interests. A fake magazine cover certainly take some time and commitment. This happy couple created a mockup magazine cover announcing their pregnancy and even including details of their various pets’ reactions, plus their own baby photos. We noticed that they’ve even set up an online poll for friends to vote on whether the new baby will look more like its mother or father… as we said, this idea takes some commitment! The end result is pretty impressive, though. A cute idea for a fun loving couple, this mug shot scene probably has some secret back story known only to the couple and their closest friends. 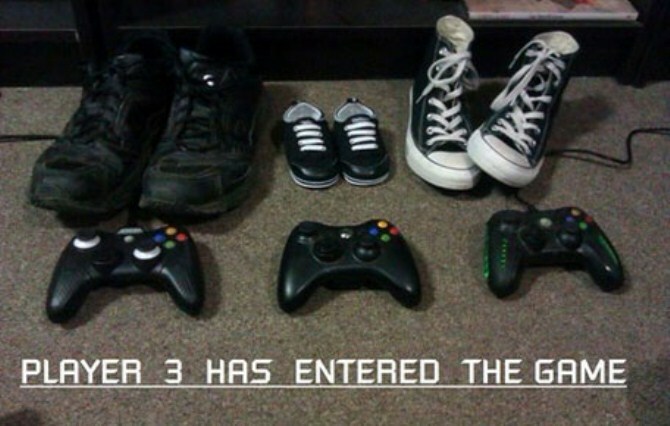 This would have to be one of the cutest pregnancy announcement photos we’ve seen! 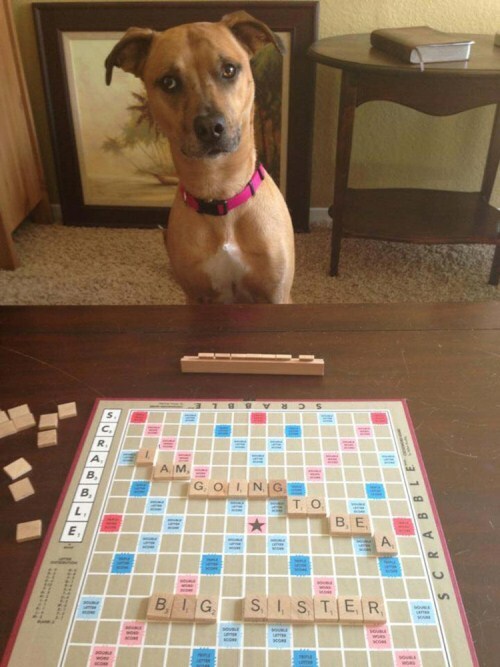 The look on this puppy’s face is almost one of concern, and we can only imagine how long was spent setting up this perfect shot. It’s a good thing we live in the age of digital cameras, otherwise the couple may have gone through several rolls of film trying to capture the photo exactly the way they wanted it. If you’ve got a puppy with an adorable face like this one, and you think you’ve got a chance at getting your pooch to sit still and look in the right direction, it’s definitely worth trying to set this up. There’s something so awesome about this photo: perhaps it’s that it conjures images of guests visiting the couple’s home and spelling out crucial words like B.A.B.Y. so that the dogs don’t find out the big news. The way this pair of dogs was happy to sit still and have their eyes covered like that gives us the idea that they will make excellent older siblings for the new family arrival. There is a classic line from Disney’s Lady and the Tramp: “When a baby moves in, the dog moves out.” This dog is hoping that won’t be the case in their family, as it looks like he’s pretty devoted to his mother already. Surely there’s enough love in this family to spread out over another person as well. 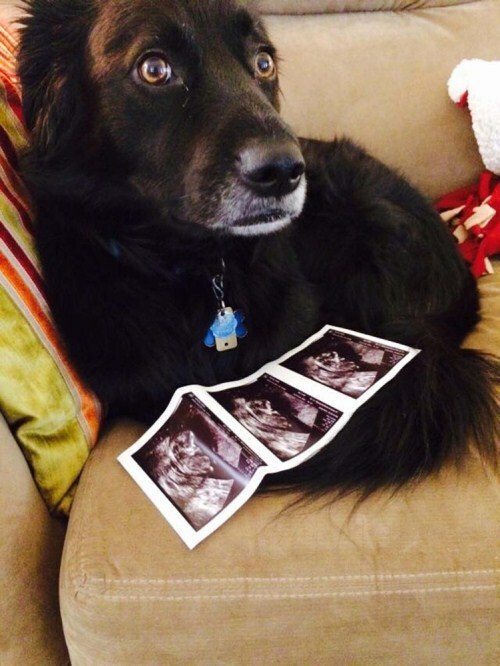 We don’t care how long this shot took to set up: the look on the dog’s face is perfect, and the end result is a fantastically effective baby announcement photo. This one could work equally well with children or other types of pets: it all comes down to the facial expressions in the end! 10. I’m Going to Be a What? 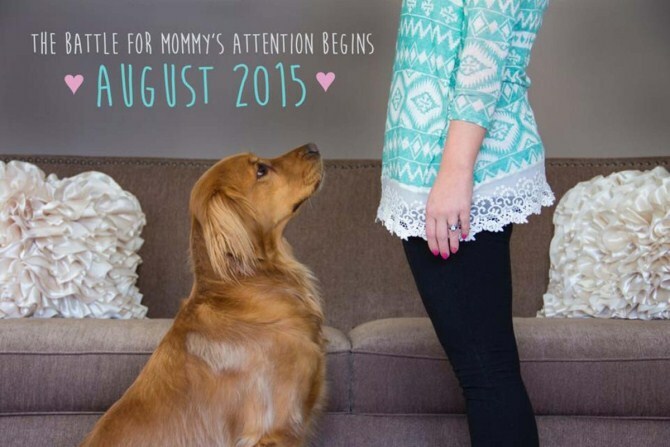 Here’s another exquisitely timed pregnancy announcement shot where the dog’s facial expression makes the whole thing perfect. The hint of grey around the dog’s mouth and nose suggests that he is getting on in years, making his look of surprise (and perhaps horror!) all the more fitting. 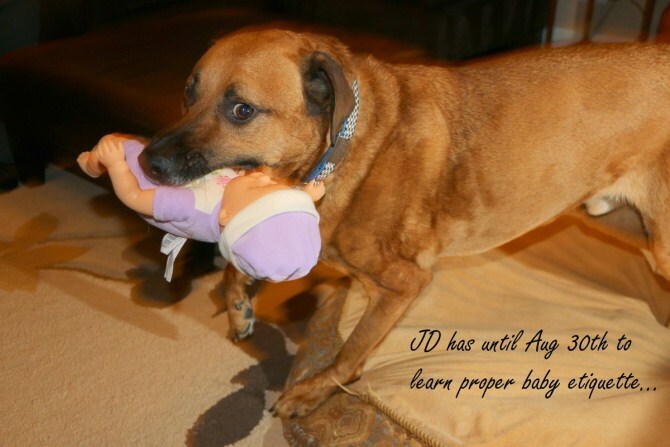 We’re sure he’ll get used to the idea after the baby comes! It’s a funny thing how having one baby doesn’t necessarily have to involve huge changes in your life: car seats can be added to almost any car, and a baby’s bassinet can be slotted into even the smallest of rooms. But when you add a second child to the mix… usually that’s when the big changes need to be made. 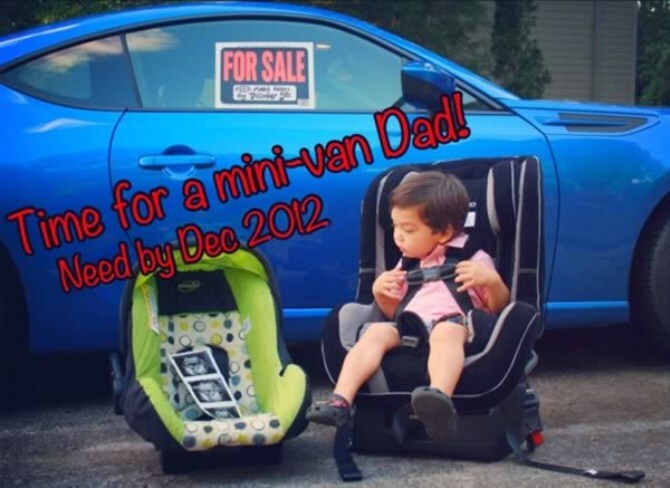 In this instance, Dad needs to sell his flash looking car and move up to a minivan! 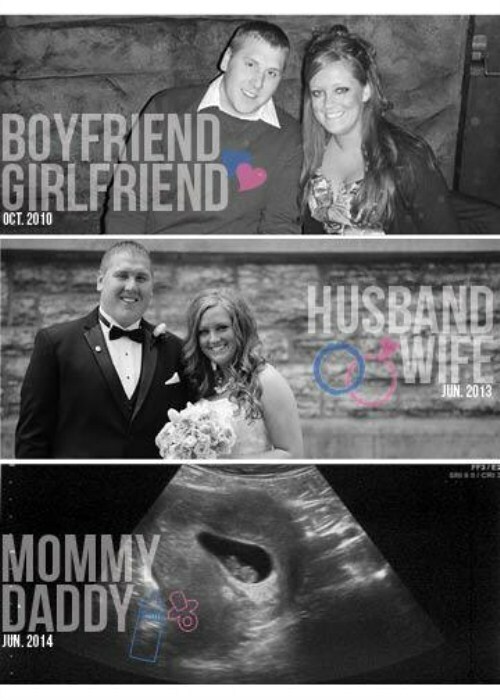 This is a sweet pregnancy announcement that showcases the happy couple’s evolution from boyfriend and girlfriend, to husband and wife, and now proudly expectant parents. The greyscale images with subtle pink and blue embellishments make the overall announcement very effective. These days, receiving anything in the mail that isn’t a bill or a catalogue is a surprise in itself, but we’re guessing that the people who received this hardcopy pregnancy announcement photo were truly stunned by what they retrieved from their letterbox that day. It’s just a pity that the expectant parents wouldn’t have been there to see the individual looks on everyone’s faces! Creative pregnancy announcement photos can be a work of art, and are often the culmination of a lot of thought, planning, and simple good timing. 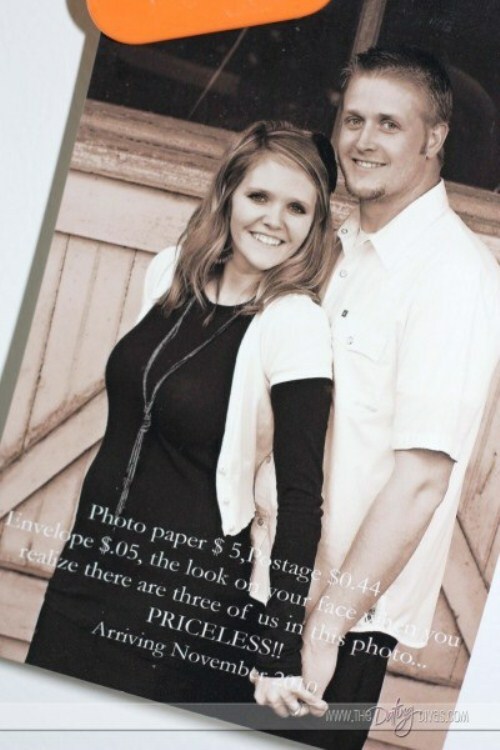 Don’t let your new baby announcement get forgotten after its 15 minutes of social media commenting frenzy: capture the excitement and anticipation of your pregnancy for years to come by having your pregnancy announcement professionally printed on canvas.